09/18/2011 UPDATE: Congrats to Elastic on their Game of Thrones Emmy win. 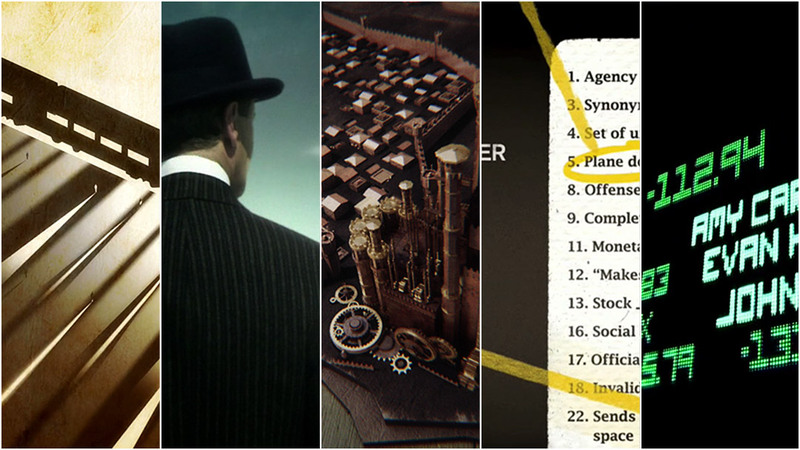 The 2011 Emmy nominations for "Outstanding Main Title Design" have just been announced and some familiar faces (and studios) are back with more outstanding work. Imaginary Forces has two sequences in the running this year, with creative direction on both handled by Karin Fong - HBO's Boardwalk Empire and AMC's Rubicon. These will receive the full "Art of the Title" treatment later this year, with an exclusive double-bill interview from Karin. Shine is also back, with creative director Michael Riley, bringing the main titles for HBO Film's Too Big To Fail from director Curtis Hanson (L.A. Confidential). We were very pleased to see Huge Designs' beautiful work for Any Human Heart had been included, a sequence we covered this past February. The final nominee is a personal favorite from this year, HBO's groundbreaking series Game of Thrones, with direction from Angus Wall of Elastic. In the few short months since we featured it on Art of the Title, it has received over 57,000 pageviews and its popularity doesn't appear to be waning. Our congratulations to Karin, Michael, Paul and Angus, and everyone involved in the creation of these sequences.